If you are someone new to online business or already have an established online presence, either way, you would readily acknowledge that business websites are strongly linked to your brand image. 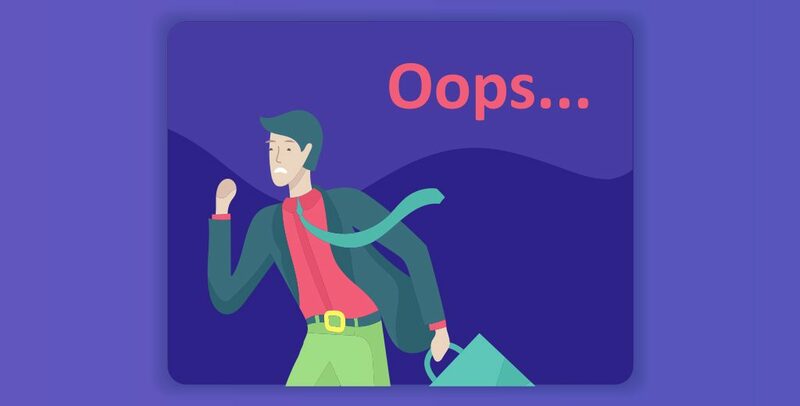 As dedicated programmers at HireIndianProgrammers, we have a compiled a list of some blunders that you may make while developing your website. In committing such blunders, it will heavily cost your business in terms of not only signup conversions and sales but also your brand equity. It is 2019. Smartphones have made deep inroads into people’s lives and studies show that more than two thirds of the people browse online using their mobiles. So, it is extremely crucial that you also develop your website accordingly for the mobile version. In fact, mobile searches are to grow from here on and adapting to mobile will help in your SERP (Search Engine Results Page). Not developing a mobile friendly website will be a loss of business potential. Clients who have hired our programmers attribute the significant boost of their sales to our successful deployment of mobile versions of websites. Time and again, we have come across this issue. Visitors coming to your website to make a purchase and learn about a new product invariably want a smooth browsing experience. Long loading times irritate the visitor and they are likely to immediately exit your site if there are other alternatives. So guess what causes slugging loading times? Yes, you guessed it right. Too much Content. This also includes heavy images and irrelevant sliders and animations. Remember, you are conducting business online and people are here for convenience. Therefore, keep things simple – talk about your products exactly with accurate images. Programmers who have been in the game for long recognise the importance of SEO optimised content i.e making your website relevant. It means that curating your content exactly as you want your target customers to perceive your business (brand) and Google’s web crawlers. In other words, design content that is original and unique with a set of keywords that lead directly to your business. This is pretty straightforward and holds true for the conventional business as well. There MUST be regular updation of website – whether addition of content or modification of design elements and so on. In failing to do so, you are losing to competitors and visitors will not hesitate to hop on to next viable alternative. One of the most common signs of an outdated website is the presence of dead or broken links. Any prudent programmer you hire would say that the mere presence of these links will turn away visitors. CTA – Call to Action elements are those buttons and links that directly influence your signup conversions and end sales – pretty common in any e-commerce websites like Amazon. Both visibility and orderly attractiveness are the key factors when designing CTA elements. Positioning them in a completely random and irrelevant way not only causes inconvenience to your visitors but also negatively impacts your website credibility. In all these mistakes that we have compiled, there is a common theme – your website is never complete but rather it is always a work in progress. By hiring our dedicated programmers at HireIndianProgrammers, we ensure that these mistakes are steered clear of throughout the software development cycle. Get in touch with our programmers here.